Mega Bloks SpongeBob SquarePants Set Just $14.70! Down From $40! You are here: Home / Great Deals / Amazon Deals / Mega Bloks SpongeBob SquarePants Set Just $14.70! Down From $40! 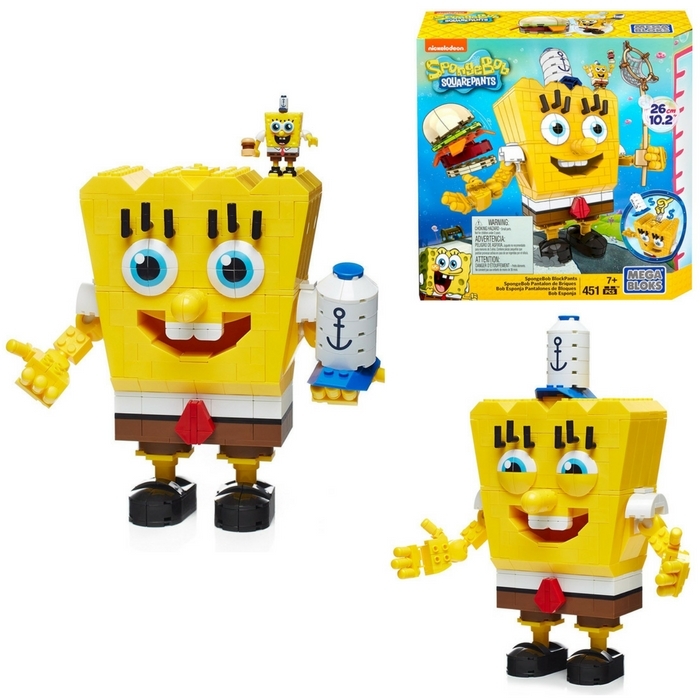 Your kids will surely enjoy assembling and building with this SpongeBob toy set! The 360-piece set features a giant SpongeBob build with pose able arms, changeable expressions, a big Krabby Patty burger, an oversized hat, and a huge net! Sounds fun! Mega Bloks SpongeBob Squarepants Set is currently on sale at Amazon for just $14.70 down from $39.99 PLUS FREE shipping with Amazon Prime or for orders over $35! Make your kids happy! Order now!